An installment loan is a purchase in which the borrower takes possession of an asset (a vehicle, for example), the funds are disbursed for the purchase of the asset, and the borrower pays back the loan in installments or payments over the term of the loan. In an installment loan, the number of payments are fixed, as opposed to revolving credit, in which the payments change with the balance (as with a credit card). 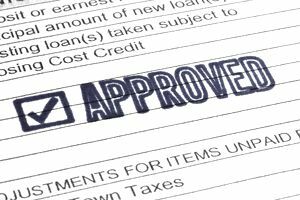 An installment agreement defines the terms of the loans. The agreement must comply with the provisions of the Truth in Lending Act. Installment loans are available for many types of business purchases. A mortgage on a business building, for example, is a type of installment loan, as is a title loan on a business vehicle. Installment loans are often the best option for financing the purchase of a business asset, because the loan term can coincide with the life of the asset. For example, a car loan is often for 3 to 5 years, which the time an average vehicle is owned before being traded in for a newer model. The IRS provides taxpayers with the ability to pay their tax bill over time with an installment payment plan. Some employers allow employees to purchase specialized equipment or computer hardware/software over time, through the company, using an installment agreement to record the terms of repayment. Installment loans may or may not require security, in the form of collateral (as in a vehicle loan), but most installment loans are linked to the purchase of an asset, which is the security. Before an installment loan is granted, the asset or assets linked to the purchase must be valued, and its fair market value determined. Interest rates on installment loans vary, depending on whether the loan secured and on the credit rating of the borrower. Getting a loan of any type for business startup is tricky because the business may not have any assets that can be used as collateral on the loan. The lender may require the borrower to provide additional security, in the form of personal assets or a co-signer on the loan. Work with the lender to provide additional guarantees on the loan. What Is Leverage and How It Can Benefit Your Business?